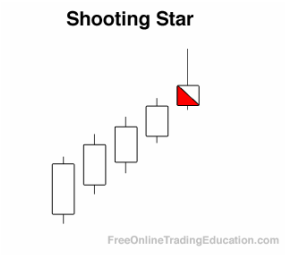 A Shooting Star is a single bar bearish reversal pattern (regardless of real body color) developing after an up leg. 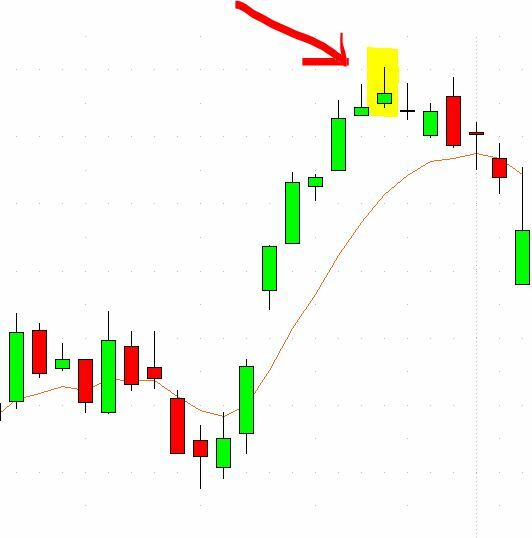 A subsequent bar opens higher, trades much higher, but then returns to close near its open. 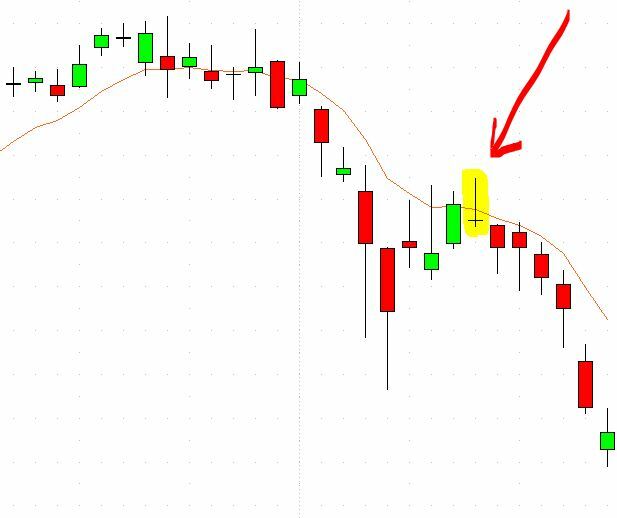 Conversely, if this candlestick is formed after a down leg where it opens lower, trades much higher, but then returns to close near its open, it is considered an Inverted Hammer.